Ever looked at your kids playing in the ocean and thought, “hmm, they look far too safe”? Me too! 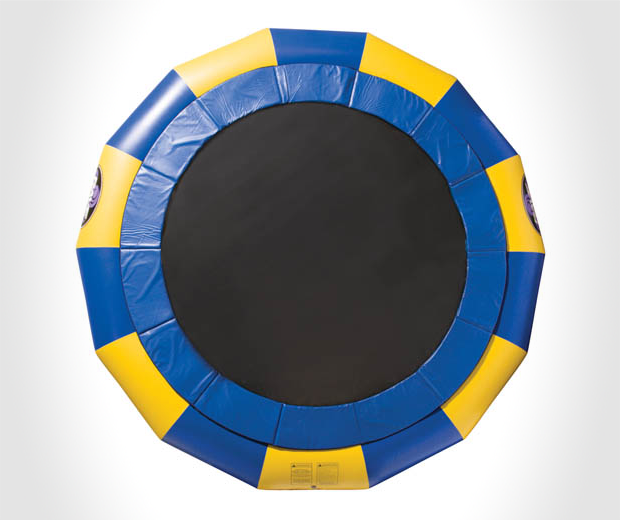 Which is why I force my children to jump on this Giant Floating Trampoline! 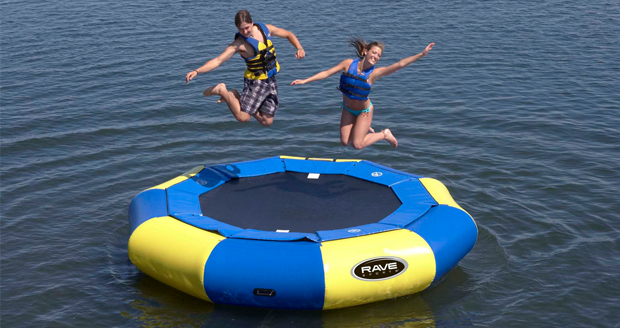 This 20 foot beast requires 10ft of water to be safely used, but who cares about “safety guidelines” these days. Just haul it into international waters where safety guidelines don’t count and voila, no more lawsuits. 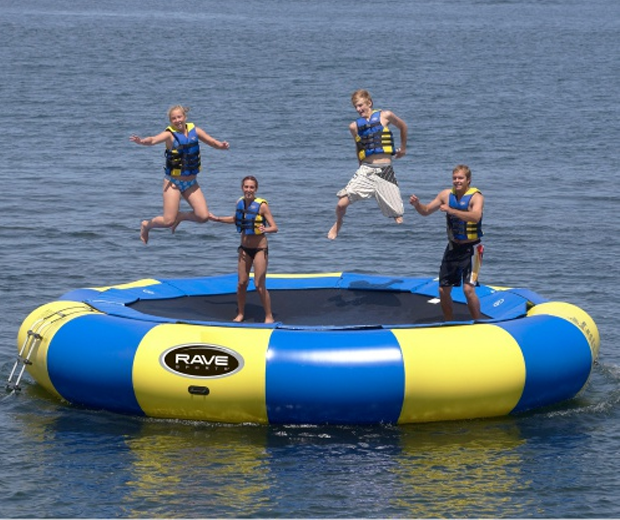 And with the 124 square feet of jump surface you can fit the whole family on board this Giant Floating Trampoline and bounce yourself into aquatic oblivion.